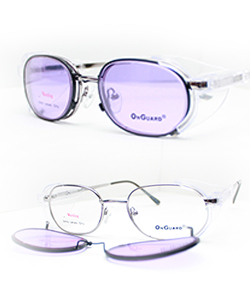 I have produced a multi-functioning eye-wear solution at a reasonable cost. Let me introduce you to my PX adaptable didymium glasses. We have four sizes 50-56 in gold or gunmetal. A glass didymium clip fits perfectly over the frame and meets all safety standards. Please call for pricing.